The best place to be if you want to see the entire Tenmile Range in full panorama is Woodmoor at Breckenridge. 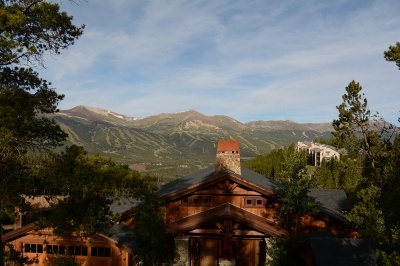 The upper portion of Woodmoor homes for sale is so high above Breckenridge that the ridgeline of the Tenmile Range feels almost reachable. Views from up here extend from Hoosier Ridge on the south to the Gore Range in the north, and the land seems to drop away at your feet. Sure, there are a few condos, and timeshares on the steps down below, but they’re easy to forget in this quiet, forested neighborhood above them. Discover more about the history, geography and style of the subdivision, or start your search with the available Woodmoor real estate listings below. Woodmoor homes sit on roads named for historic mining claims that were once the geographic features of this area. Claims like North Fuller Placer, Emmet’s Lode and others, were staked as long strips of land that followed the creeks on Baldy Mountain. Burro or wagon roads traversed these claims and are the basis of the current streets in Woodmoor. They all funnel back onto Baldy Mountain Road, and easily bring residents of Woodmoor to the jeep roads or trails that climb further up the mountain. The well-used Baldy Mountain trail is open to cross-country skis, snowshoes, bikes and hikers, but was once the main route to the Iowa Mill, one of the last-to-be-abandoned ore-crushing mills in the county. This historic site is a few miles up the trail, near treeline. Above it are the sparsely vegetated flanks of Baldy Mountain, crossed by a few switchbacks used by hikers to the summit, Telemark skiers and a herd of mountain goats. Homes for sale in this part of Woodmoor can be small single-family homes off Uncle Sam Lode, luxury homes on one-quarter to one acre lots, or high-end townhomes in two or three unit clusters. The Woodmoor subdivision was platted in the 1970s and covers a large area on a long, southwestern face of Baldy Mountain. Portions of the original subdivision were developed as separate small subdivisions of condos or townhomes. What remains, officially as Woodmoor are custom-built homes, triplexes and duplexes in the Upper section, and Baldy Mountain Townhomes, a distinct lower section. A variety of open land and trees fills in the spaces between homes and the neighborhood doesn’t feel disparate, just diverse. Woodmoor is bisected by Boreas Pass Road, built for a narrow-gauge railway line, which follows a gentle, but circuitous, route into Breckenridge. As Boreas crosses the long Woodmoor hillside, it divides the subdivision into the two parts: the single-family neighborhood above a large, steep undeveloped parcel of the subdivision, and the townhomes below. From the farthest point of Upper Woodmoor, downtown is 4.5 miles – all downhill – along Baldy and Boreas Pass roads. As the crow flies, Upper Woodmoor is only 2.5 miles east of town. This lower portion consists of close to 80 entry-level townhomes built in the early 1970s, in clusters named for Bunker Hill Lode, Silver Queen, Lucky and other mines formerly worked in the area. These townhomes are staggered along Illinois Gulch, which is served by the free countywide bus system. This mile-long gulch is only 1.5 to 2.5 miles from downtown Breckenridge. Trails connect it to the forest and to town. Number of Lots: 190 Total. 52 Duplex/Triplex, 45 Single-Family and about 14 vacant lots in Upper Woodmoor. Size: from 1020 sq. ft. to 8024 sq. ft.
Year Built: 1972 for Baldy Mountain Townhomes; Upper Woodmoor homes have been build between 1982 and 2010. HOA: Woodmoor Homeowners Association is a political entity, and collects no dues. Amenities: Views! Hiking, biking, skiing, forests, on countywide bus route, paved roads. To drive to Upper Woodmoor from town, head south from Breckenridge until the last stoplight at Boreas Pass Road. 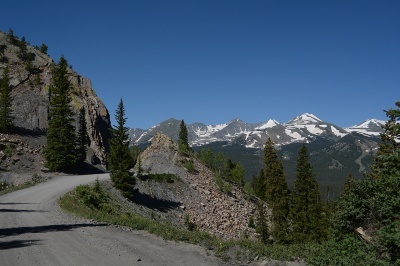 Go east (left) on Boreas Pass and continue past the town overlook. Take the second left onto Baldy Road, which will climb steadily to the Woodmoor area. When the pavement starts into a switchback, you’ll see the trailhead parking on the right, the wide trail straight ahead, and the road continuing on the left. Taking the left, you’ll be on Emmett’s Lode, which will arc back to the north and continue to the next subdivision called Miners View. North and South Fuller Placer roads, are the last left (N) or right (S) before you reached the trailhead. Contact us now for more free information about the local real estate market. We have comprehensive market knowledge which can help you in your search for that perfect home.